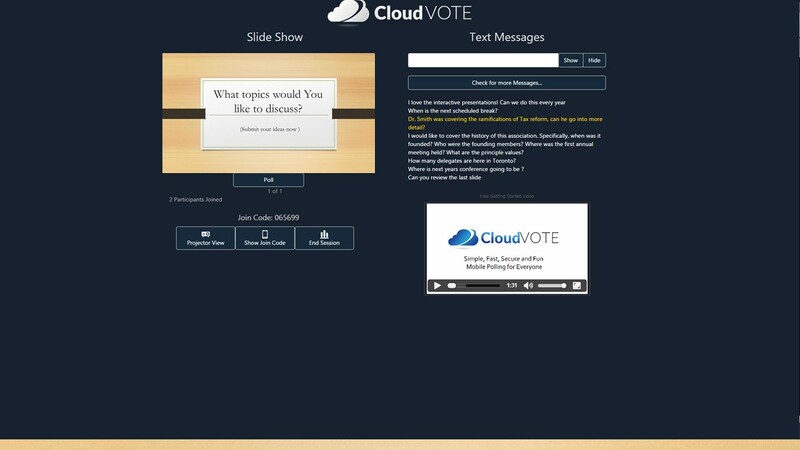 Besides its voting capabilities, many presenters use CloudVOTE for its mobile texting app capabilities. Speakers can use the messaging app to ask their attendees to respond to free-form questions at specific times during a presentation, or simply allow participants to give feedback at anytime throughout a single session, multiple sessions, or sporadically during a week long program. CloudVOTE does not limit the length of text a participant can enter nor does it cap how many messages can be sent per session or per person. 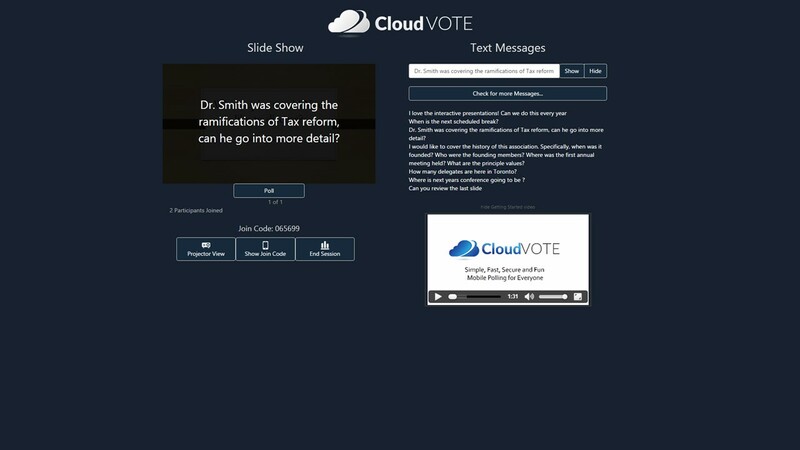 With CloudVOTE, participants can easily interact with the presenter, give their opinion, and speak their mind. Simplicity was stressed during the design of CloudVOTE’s live event texting app and the participants’ messaging interface. Once a participant has joined a session, they can submit text messages easily and any time by touching the messaging box and entering their feedback. Messages remain private until a presenter chooses to highlight the text and show it to attendees. Messages will populate the screen showing the most recent at the top and previous below. Presenters can choose to manage the message feed by hiding responses, which remove the message from view, but still allows them to be reported on after the session. Every message sent during a CloudVOTE session is captured, recorded and easily reviewed. 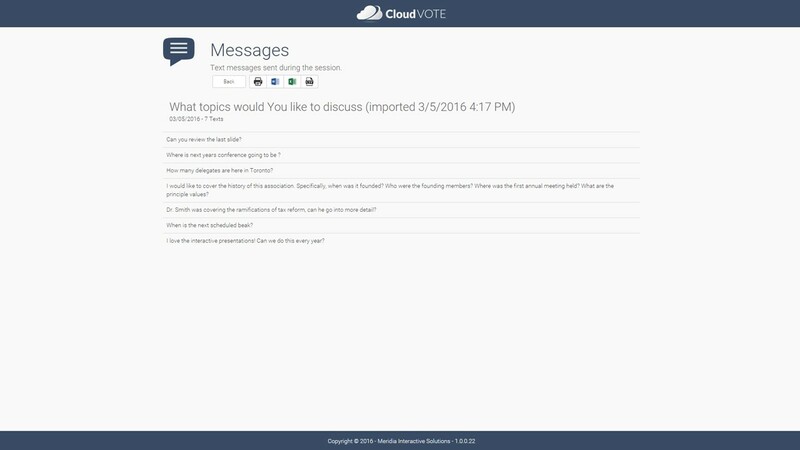 At the close of a CloudVOTE session, the messages are immediately available online and are organized by session and separated by individual message. They are listed on the report in the order they were received. The reports can be viewed online, printed, or downloaded into Word, Excel, or CSV format.